What does it mean to have “feet on the street” as a truck driver? 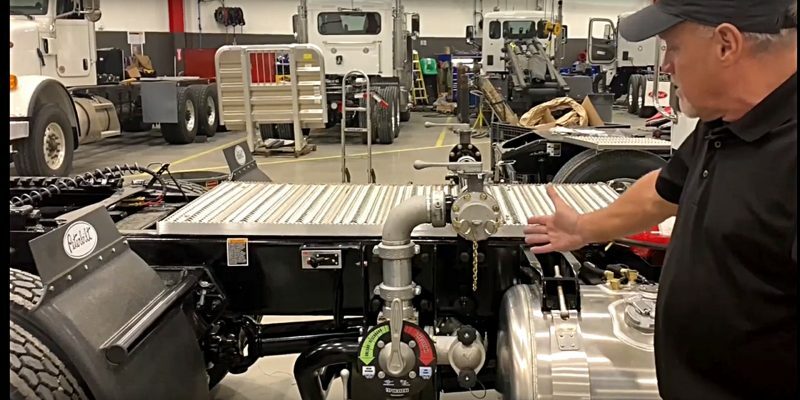 Dave Palmer, OEM Channel Manager at PT Coupling, explains the features and benefits of the safest pumping system in the United States: PT Coupling’s SPS100414 Vane Pump System. Never blow a hose again! PT Coupling’s Vane Pump System (SPS100414) brings a new level of safety for the environment and truck drivers. 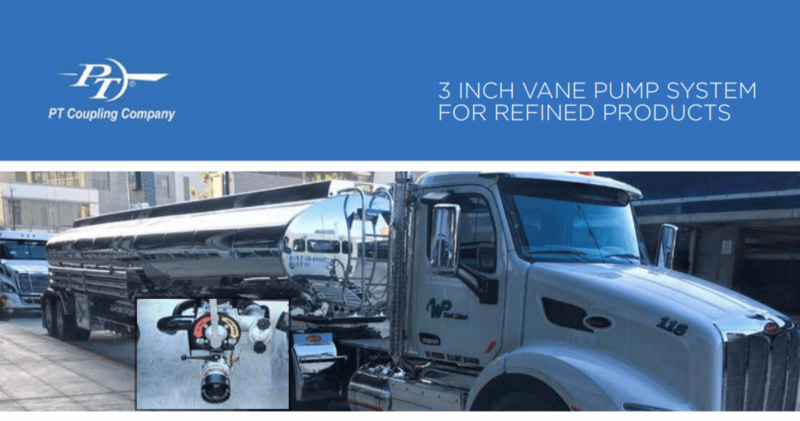 PT’s 3” Vane Pump System is a high-performance truck mount four-way valve system for refined liquid products in the combustible and flammable categories. Products such as: diesel, gasoline, alcohol, avgas, bio-diesel, fuel additives, and synthetic oils. The Vane Pump System delivers where high performance is required, up to 240 gallons per minute (GPM) truck mounted, curb side. VANE PUMP SYSTEM FOR REFINED PRODUCTS – Protecting the Environment. Improving Driver Safety. Our success stems from an uncompromising commitment to our three core values: quality, service and integrity. PT Coupling makes every effort to maintain customer satisfaction with a quality product, on time and at the lowest possible cost. As an ISO 9001 certified company, our demanding quality control standards help ensure our products are of exceptional quality. PT Coupling is dedicated to provide unparalleled customer service by taking the time to listen to each of our customer’s needs and then applying our vast wealth of experience to not only meet, but exceed their expectations. PT Coupling adheres to the highest ethical principles and professional standards in all of its dealings.